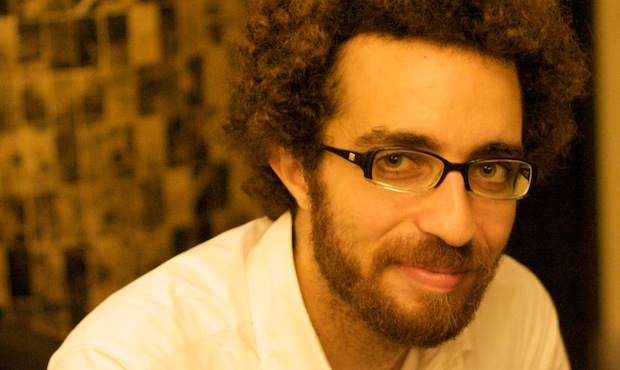 From the works of Ahmed Fouad Negm, now dubbed “the voice of the revolution”, to Tunisians chanting the verses of Al-Qasim Al-Shabi’s If the People Wanted Life One Day, Arab poets have been central to the protests across the Arab world. One such poet is Palestinian Mazen Maarouf who grew up in exile in Lebanon, having never seen his homeland. “My grandparents were forced to flee to Lebanon in 1948,” Maarouf said. “I was born in Lebanon, but am still classed as a refugee, and am not even allowed to go to Palestine.” However, Maarouf felt he had to move to a second exile in Iceland in 2011 after writing a series of articles criticising the Syrian regime. This sense of exile, both from Palestine, the homeland he never visited, and from Lebanon, where he grew up, has made Maarouf a ‘psychological refugee’; a feeling that colours much of his work. Maarouf is disappointed with the turn some of the uprisings have taken, with Islamist parties taking power in Tunisia and Egypt. “It was the liberals who ignited the uprisings, and the liberals have been betrayed,” he said. He remains convinced that this is a transitional phase that will be replaced by a more liberal government later. He has published three collections of poetry in Arabic, and numerous theatre and literature reviews in the Arabic press. Maarouf’s poetry has also been translated into numerous languages including English, French, German, Spanish and Chinese. As for future plans, Maarouf will continue to write poems and articles. Although he remains committed to the Palestinian cause, he sees the Arab Spring, particularly the situation in Syria, as more urgent. His last collection of poetry to be translated into French (An Angel Suspended On The Clothesline) will be published in 2013. He is also working on a novel based on his experiences in Lebanon. Finally, he has started looking at Icelandic poetry. Mazen Maarouf features in an episode of the documentary series “Poets of Protest”, which will be broadcast by Al Jazeera English on Friday 28th September at 19:30 GMT.